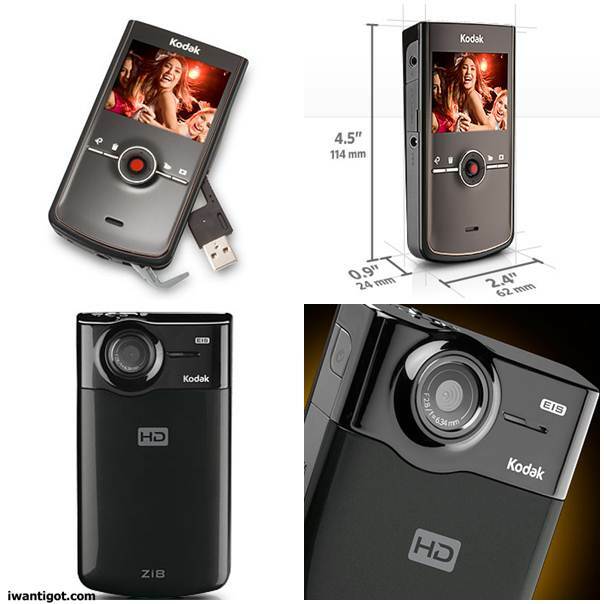 I received the Zi8 Pocket Video Camera just in time for LGFW this year. I’ve used the HD video feature on the Olympus E-PL1 so I was curious how these dedicated video cameras function. I guess the Zi8’s main competitor is the Flip video camera. I’ve never used the Flip camera before but I’ve held it. The Zi8 is a bit wider but they are very close in size. I didn’t use the included camera software but I like that it’s preloaded on the device so you don’t need a CD. The software has easy to share to YouTube and Facebook features.Â These things aren’t features I normally would use. The software is always available if you want to use the camera on a different computer. I don’t usually edit videos I take because I’m lazy, not very good at it and don’t have much time. Thankfully the software isn’t needed to copy video and I just use windows explorer to browse the device. I don’t have an HDTV so I never played with that feature either. I don’t usually use the included software in media devices unless absolutely necessary. I took a lot video of during Toronto Fashion Weeks. Some of it isn’t pretty but most of it is very watchable. I do have some complains about the camera though.Â I was trying to film theÂ entire Denis Gagnon Spring Summer 2011 runway show at LGFW. Pressing the middle red button starts and stops recording. It’s also used for the zoom feature with up and down motions. Â During the filming I was zooming in and out capturing details of the handbags and the clothing. It was after the show was complete did I realize that I only captured the first 3 minutes of the show. I turned off recording when I was zooming and it wasn’t really noticeable on the screen that I wasn’t in record mode. I was a bit steamed about that. This wasn’t the first time either.Â I found it a bit difficult to film details with this camera.Â Video is jerky when using the zoom. It doesn’t help that I don’t have the steadiest of hands either.Â That’s probably more a critism of my technique more than the camera but I didn’t find it as easy. The size of the Kodak Zi8 is a disadvantage to me. I’m already such a gadget whore that I hate adding another device to the mix. There were days when I was carrying my Blackberry, iPod Touch, Kobo eReader, Olympus E-PL1 digital camera and the Kodak Zi8. It’s too much. I can see myself bringing the Zi8 it along if I don’t carry the Olympus E-PL1. My Blackberry Torch doesn’t have HD quality video so the Zi8 is preferable. The Olympus takes very good HD video, so the duplication isn’t necessary. I acquired the Nokia N8 smartphone last week and the HD video and Dolby sound blows the Kodak Zi8 and many others out of the water. It also is way smaller. A geekiviews post for the N8 will come later. This would be a good product for someone who doesn’t have HD gadgets like an iPhone or HD-ready camera already and is looking for something very simple and easy to use. It’s an all in one gadget which makes it easy for beginners. There are no cables to keep track of or lose. It seems pretty durable so it would be good for kids or travel.